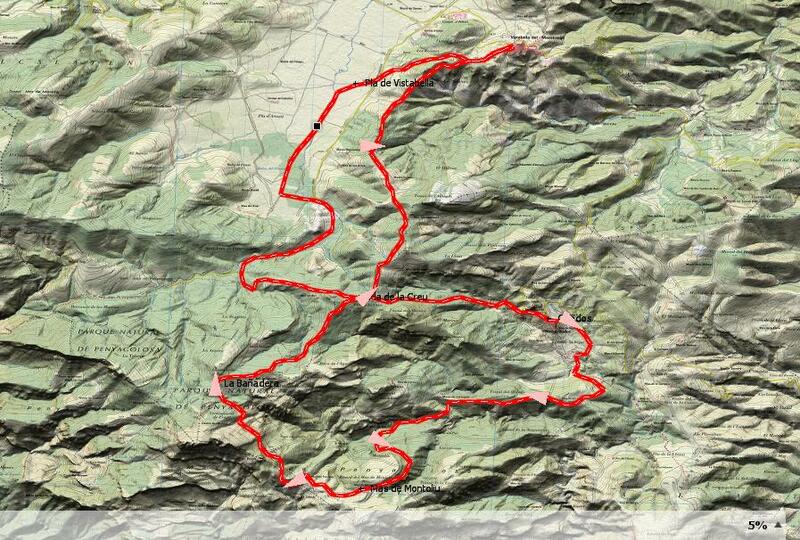 This route puts us at the base of the "Giant" (Mount Peñagolosa) which rules over the peaks of Castellón. 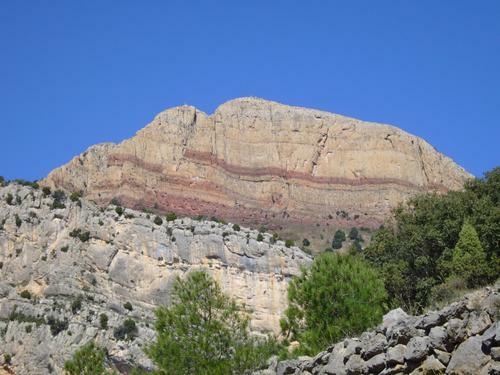 We leave Vistabella del Maestrat and are surrounded by "el Pla" until reaching the Ermitorio de Sant Joan de Penyagolosa. From there we climb a trail which links to "Pla de la Creu". We then descend into Chodos by the old trail which was walked by the Useres pilgrims, this is mystical and full of charm. Having the view of Chodos will help us to arrive to a really hard incline which will take us to Mas de Montoliu. This gives us views of the stone wall which watches over the province and it also acts as a gateway to the last incline we have to face before getting to the peak of Bañadera. We are then able to return through Pla de la Creu until Mas de Coll; this takes us through lush pine forests which will cool us down after all of our efforts.